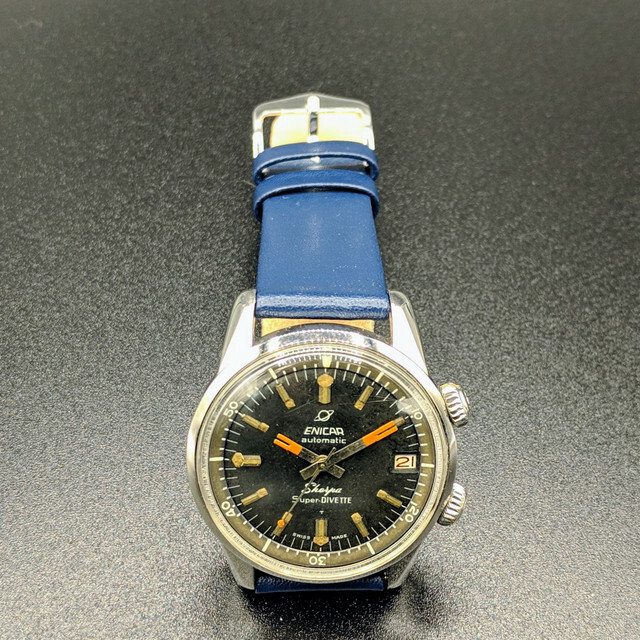 Dr. Hans Hass - who still knows him will appreciate him - was the inspiration for this diver's watch: in the 60s, Enicar launched the two-crown models of the Sherpa on the market. 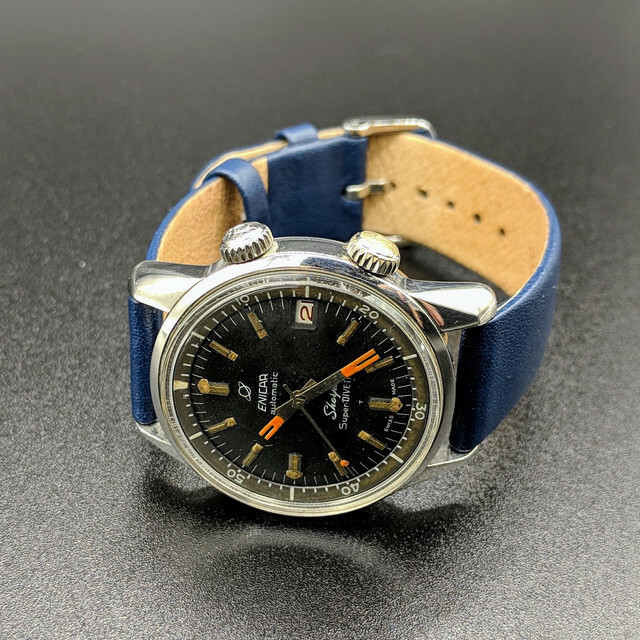 The Sherpa Super Divette a 36mm Diver in Compressor Housing by Ervin Piquerez S.A. (or EPSA) which were also installed in very well-known other Swiss watch manufacturers of this era make this clock technically very interesting. 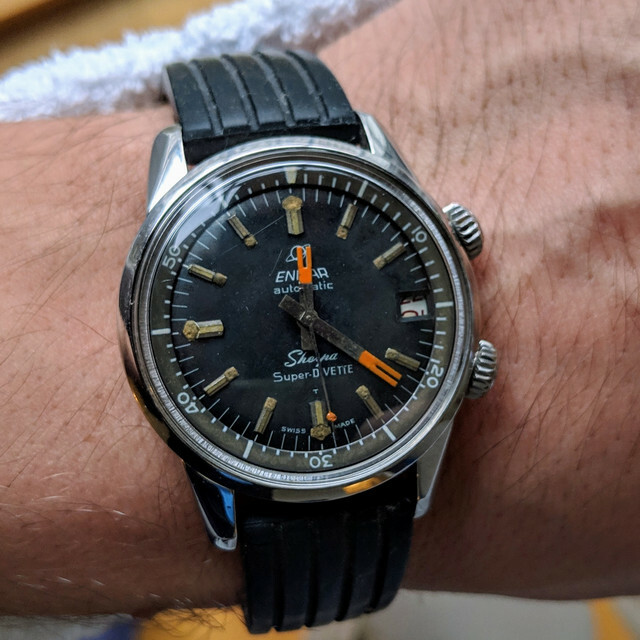 An internal diving bezel and its own automatic caliber AR1145 made this functional watch perfect. In sum, a truly collectable clock. The condition is good according to the age. The original crowns are preserved, the dial a very nice dark blue patina - original Lolipop second hand. 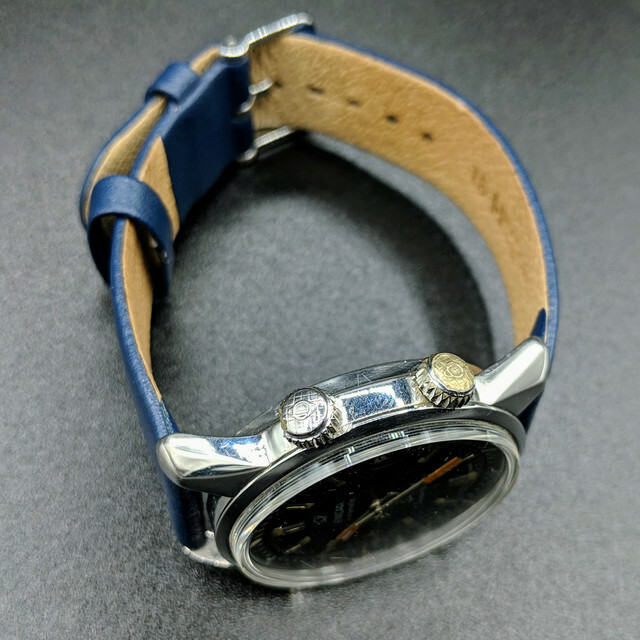 Mounted is a matching rubber strap with folding clasp (the illustrated leather strap is not the subject of the sale). Please note the photos - they should give a good impression and are part of the description. 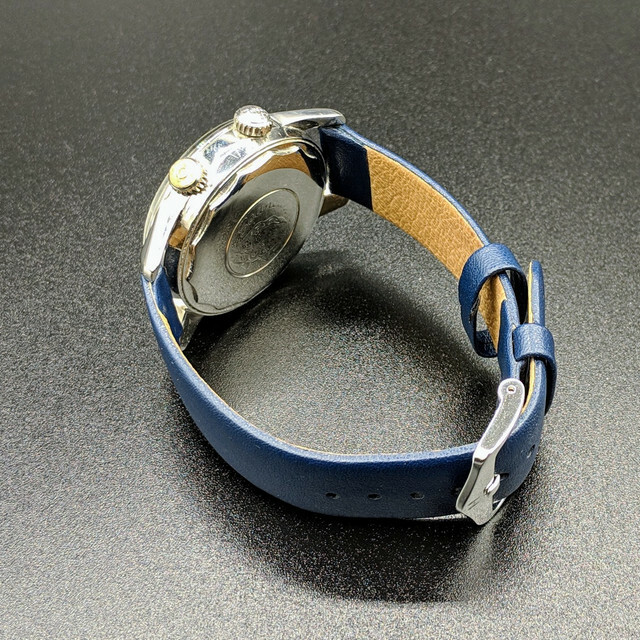 The watch has been reviewed and is fine - nevertheless, it is a vintage watch, any warranty excluded. Watch and I are located in Vienna, Austria - F2F preferred, shipping possible and within Europe included. My price would be EUR 1.390,-- incl. shipping within Europe.